Much of Norfolk is low-lying land, not much higher or even lower than surrounding water levels. Even though the county has some of the lowest rainfall in Britain, 42,500 homes in Norfolk are estimated to be at risk from flooding. And we know that coastal erosion threatens the very existence of some homes. How resilient is your community to these threats and others? the potential risks for the community – flooding, severe weather, major traffic accident such as chemical spillage. who has key skills – such as medical knowledge, transport, heavy lifting vehicles, tractors, medical skills, food supplies. buildings that could be made available – is the village hall or community centre geared up to deal with an emergency, is it accessible, impervious to extreme weather? How can communities use local resources and knowledge to help themselves during a physical emergency such as flooding and sever weather? How can you make best use of local expertise, skills and knowledge? 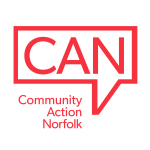 Start by liaising with the Norfolk Resilience Forum (NRF). It’s a multi-agency group comprising the emergency services, local authorities and other agencies, working together to plan and co-ordinate a county-wide approach to managing risks and emergencies. You can register by clicking here to find out more about developing a Community Resilience Plan. The aim is to prepare for, respond to and recover from emergencies. You can download the NRF’s Community Resilience Strategy by clicking here.